Cyberbullying is this years’ Pink Shirt Day’s focus. The day is meant to focus on encouraging others to combat cyberbullying by thinking twice before posting something negative, and instead using the internet to spread kindness. 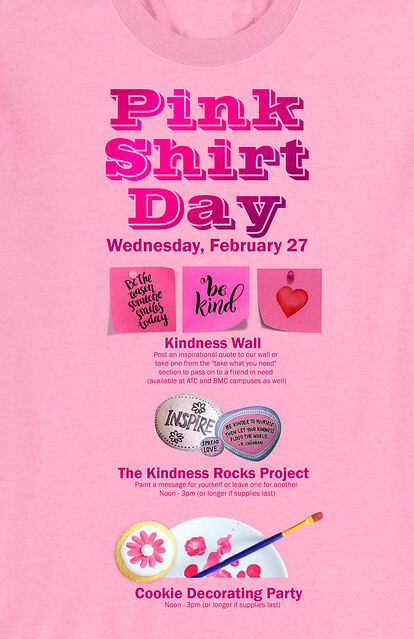 Show your support by joining us at the Burnaby Campus Library on Wednesday, February 27th. All events are located on the main floor and are FREE to everyone.